This archive holds all posts form November 24, 2016. We’ve written here about Thanksgiving as holiday rooted in oppression. It’s a time when many of us reflect on the history of injustice and oppression experienced by indigenous people in this country. This week, the dissonance between the Thanksgiving holiday and the violent response to water protectors at Standing Rock is impossible to avoid. Maybe you’ve been seeing a little bit about #noDAPL on facebook, or you caught the news this weekend about the water protector who may lose her arm, or the deployment of water cannons and mace by police in freezing weather. Here’s the very basic background: the Dakota Access Pipeline is a $3.8 billion project that would cross the Missouri River just upstream from the Standing Rock Sioux Reservation. The Sioux are opposed to it because the pipeline would endanger sacred lands, harm wildlife, and could contaminate drinking water for 15-18 MILLION people if it ruptures. 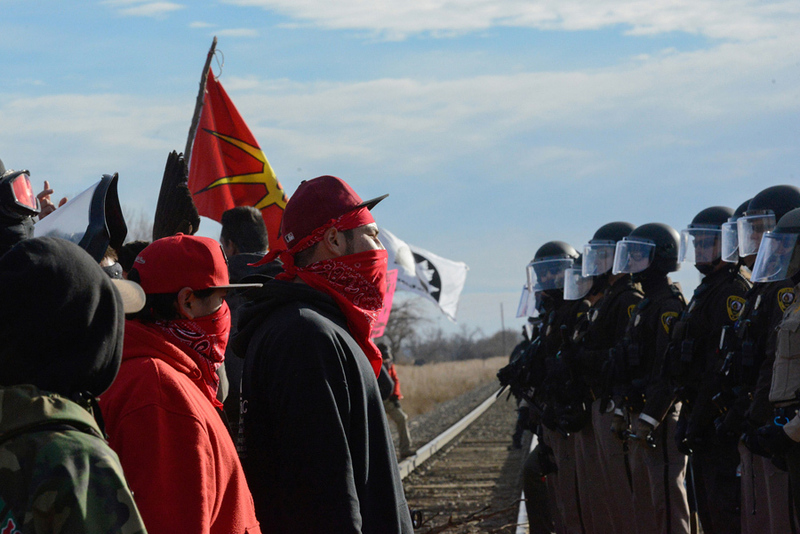 If you’d like to do a deeper dive on understanding the events, you can use the #StandingRockSyllabus. And, the president-elect, Donald Trump, has significant financial ties to the pipeline:He has over $1 million invested in the Dakota Access Pipeline, and he received more than $100,000 in campaign contributions from the CEO of Energy Transfer Partners, the company leading the project. Given all of this and his apparent refusal to place his business investments in a blind trust, it’s hard to believe that these financial ties won’t impact his actions if the stand-off continues through inauguration. (If you want to learn more, you can listen to this great podcast about the history of the water protectors). 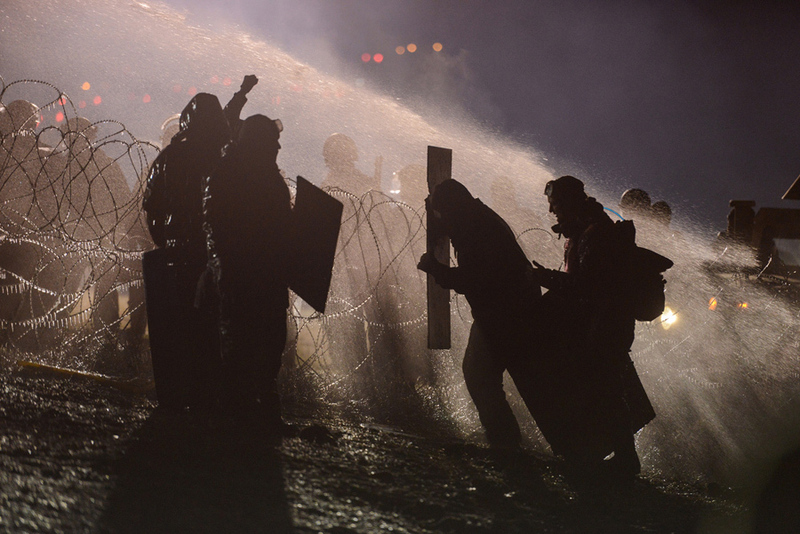 Sign this petition and this one, to de-militarize the government response to water protectors at Standing Rock and halt the construction of the DAPL. Donate to the legal defense fund, children’s education at the camp, Veterans for Standing Rock or medical response at Standing Rock. If you live in North Dakota, South Dakota, Wisconsin, Minnesota, Indiana, Wyoming, Nebraska or Ohio- you may find your local police or sheriff’s department is sending officers to North Dakota. Please call them and ask them to stop supporting militarized police action against water protectors. For more actions like these, go to #FightTrump.